Want to impress with your instrument? Know some theory but struggle to apply it when you pick up your axe? 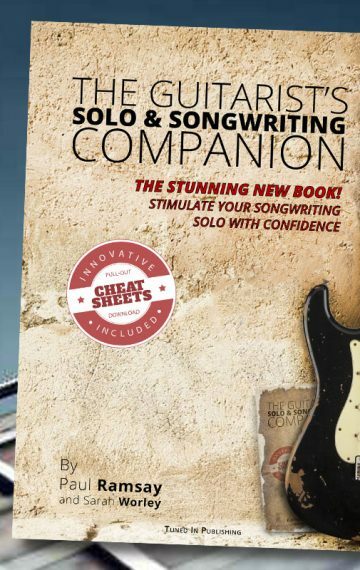 This book doesn’t just teach guitar orientated music theory; it puts it into practice. A fresh new approach with clear explanations and an innovative cheat sheet! We’ll get you to where you want to be; creative songwriting and confident soloing. £11.99 + 2.50 p&p… cheaper than on Amazon! Please use this email to send your feedback to the authors, publishers and suppliers for any comments on the book. We love to hear from you.